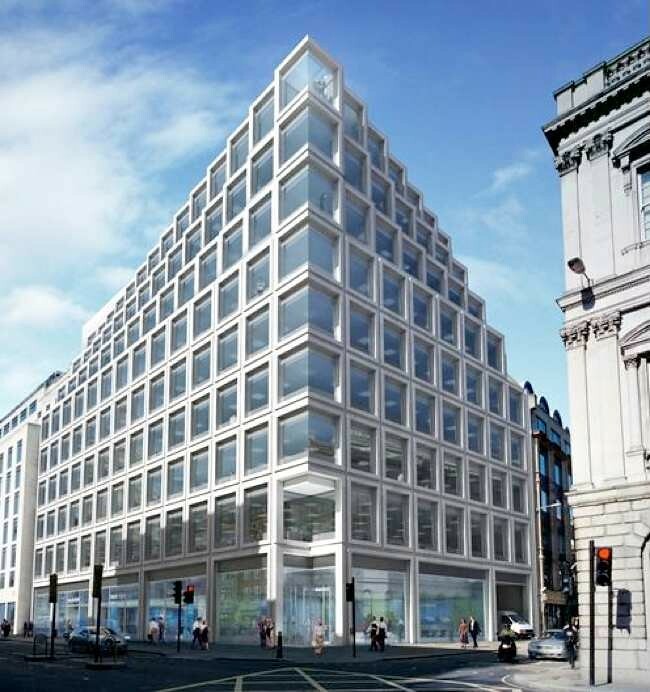 While Apple’s London Covent Garden and Regent Street stores have given the company a prominent presence in the city centre, a proposed development at 100 Cheapside in London’s uber-rich financial district may be threatened by neighbours claiming rights to sunlight. ifoAppleStore got their hands on a rendering of the proposed development which would cover 87,000 square-feet of office space, and 13,000 square feet of ground floor retail space. A report from Reuters notes that Apple is currently interested in moving in. Judging by the mock up above, an Apple retail space would fit nicely in that large windowed, street-level storefront. The plot is owned by City of London, who is currently trying to get authorities to bypass “rights to light” laws which lead to a court ruling that a portion of a building in Leeds be torn down last year. Although that decision was later settled without demolition of the building, claims of rights to sunlight continue to emerge. The City of London is still looking for a buyer after the original bidder backed out citing concerns over the Rights to Light laws and concerns from neighbouring buildings. Perhaps Apple could step in and add a little of their retail design magic to the proposed design in order to satisfy concerns from neighbours? Those involved in the project are more than likely happy to have Apple interested in the development. ifoAppleStore notes they even used photos of Apple stores as examples for retail spaces in their application project summary document here. Apple has been aggressively expanding their retail presence, with three new grand openings this Saturday and thirteen stores expected to open by the end of September.They also have plans to open a one of a kind retail space in Grand Central Terminal in New York City by December.